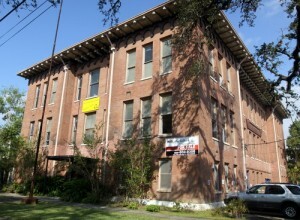 The former New Orleans Free School on Camp Street. 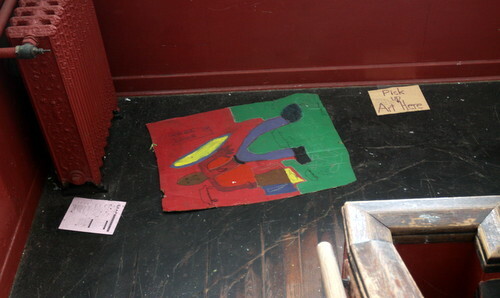 Students’ work still hangs on the walls three years after it was turned in, and their art lays strewn about the floor of the old Free School. 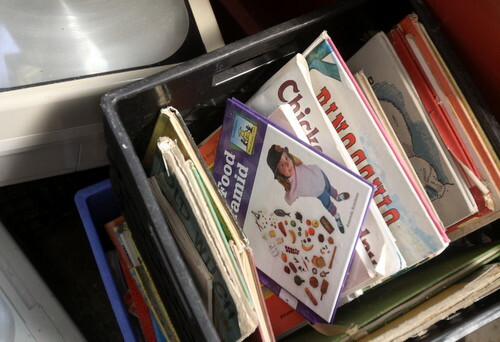 A few children’s books sit in crates, toys lay abandoned on the dirty floor, and pigeons flutter in and out of the dark fourth-floor attic. To the trained eye, however, the most insidious problem is the sudden dips in the hardwood floor. 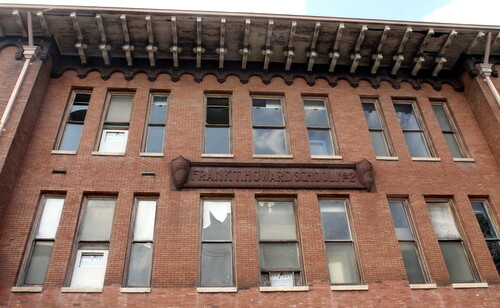 The century-old Free School on Camp Street looks as though it was abandoned overnight, as it almost literally was in December of 2009 when critical structural problems were discovered there. 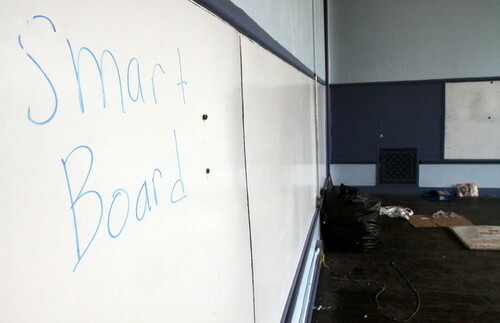 Next month, the building is one of seven former school sites around the city scheduled to be auctioned off by the Orleans Parish School Board, raising the possibility that it might finally be redeveloped into something new, or even one day hold students once again. 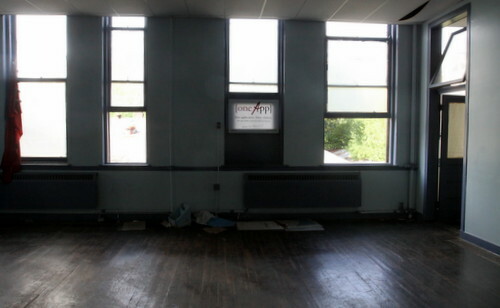 The reason for the sudden move, the RSD said, was the completion of a study of “sloping” found inside the building. To replace all 400 pilings would cost roughly $600,000, the engineers estimated, and would not include replacing all the utility lines and floors — nor would it level the building. “The repairs will be extremely expensive, slow and will not produce a complete restoration to the building,” the report concludes. The 25,000 square foot building in the upscale Touro neighborhood of Uptown New Orleans is now appraised at $1.4 million — $1.16 million for the land, and $250,000 for the building — in advance of the Nov. 8 auction. After a showing of the building on Friday morning, a handful of architects and contractors guessed the cost of renovating the building to be around $10 million. At that cost, does the building have a future? 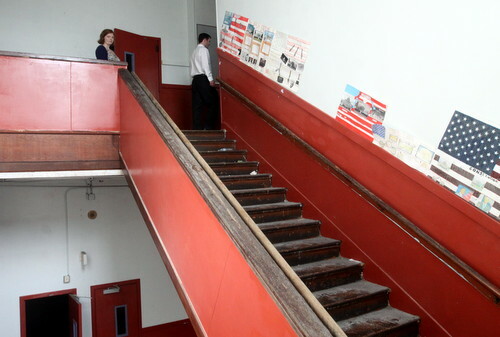 When the similarly-aged LaSalle school on Perrier Street was placed up for auction in 2010, Lusher Charter School evaluated the building as a possible expansion site and then rejected it based on its estimated $10 million in renovation costs. The building was appraised at $1.5 million under the assumption it would be torn down, but developer Jim MacPhaille bought it at auction for nearly $2.5 million to renovate it into upscale condo units. The LaSalle building, however, is quite a bit larger at 31,256 square feet — room for more units inside — with a much larger lot, allowing MacPhaille much more parking for residents and two additional large single-family houses. 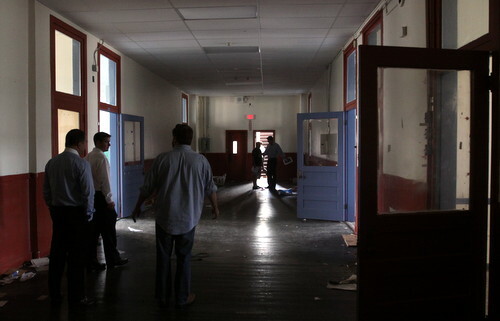 Architect Joseph Stebbins of CCNO Development, the team undertaking the renovation the McDonogh 16 building on St. Claude into a home for the elderly, toured the Free School on Friday and said a redevelopment there would be feasible. The changes necessary to the interior would be dramatic, however, he said. 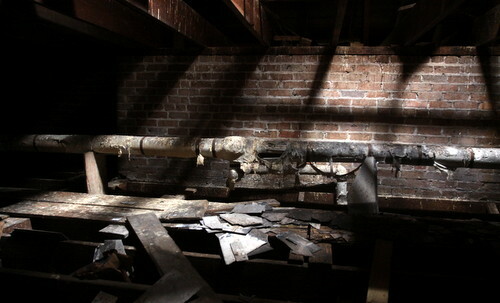 The building, likely heated by coal when it was first built, has large chimneys that would have to become decorative. Each unit would need its own kitchen and bathroom spaces, not to mention individual heating and air units. 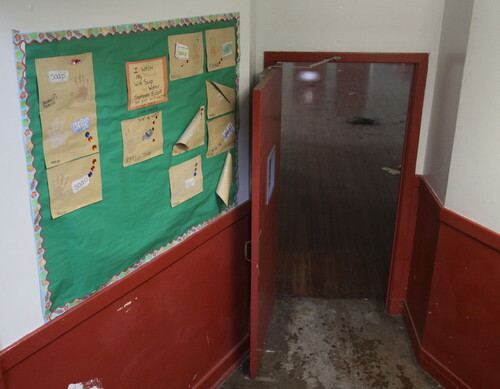 The wide hallways that once accommodated hundreds of children at a time now dramatically reduce the rentable space inside the building, Stebbins said, and actually as common space inside the building would become an additional cost for the developer to maintain. 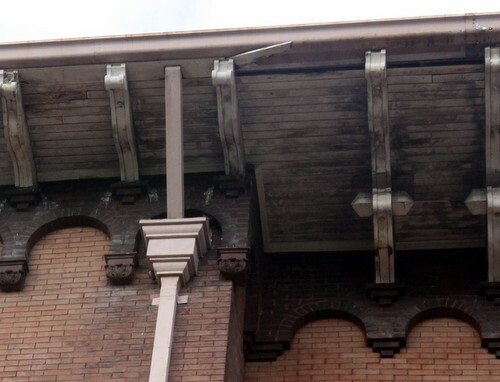 Further, the Foucher Street side of the building shows evidence of a large porte-cochère or overhang, likely once intended to protect children from rain as they came and went from school, that would likely have to be restored for any historic renovation, another major expense. Finally, the appraisal notes that the zoning only allows a two-family home, so any multi-family redevelopment will require the approval of the City Council — and mostly likely the neighborhood. New life as a school? Also touring the school on Friday was Josh Densen, leader of Bricolage Academy, which has applied for an Orleans Parish charter to open next fall. Densen said the Free School is one of several possible sites he is investigating, but acknowledged the site’s challenges. 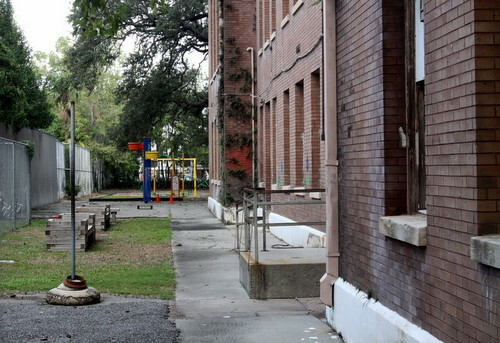 Under state law, schools get right of first refusal before school buildings can be sold — the same option that Lusher exercised and then rejected with the LaSalle School. The Orleans Parish School Board will not make a decision on a charter for Bricolage until December or later, however, so Densen currently does not have the same right. If Densen had to purchase the building, that cost would likely make the Free School too expensive to be a viable prospect for Bricolage, he said. 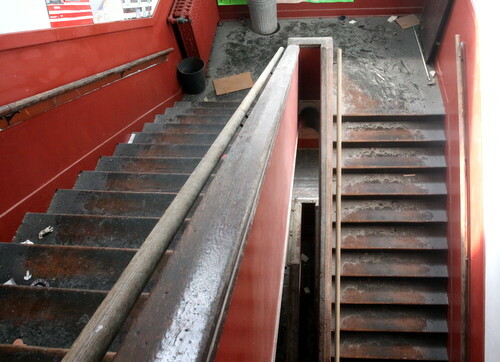 If Orleans Parish retained ownership of it, however — and the renovations costs do not become unexpectedly higher — Densen said it would be possible to finance the renovations based on the project per-pupil state funding for the 300 or so who could fit inside, with a combination of private fundraising to cover the gaps. For now, Densen has submitted a letter to the OPSB expressing interest in the property and plans further inspections to gauge the costs. He is also continuing to explore a number of other sites. As Friday morning’s tours concluded, St. Charles Avenue resident Manuel Garcia Castellon came walking by and stopped to admire the building, craning his neck to see the details under the roof and praise what he described as Mediterranean influences in its architecture. Given the choice between apartments or a school, the UNO professor of Romance languages said he preferred it be a school. But mostly, he said, he just wanted to see it preserved. Originally Frank T.Howard No. 2 elementary school.